Poached eggs are delicious to eat but intimidating to cook, until now. 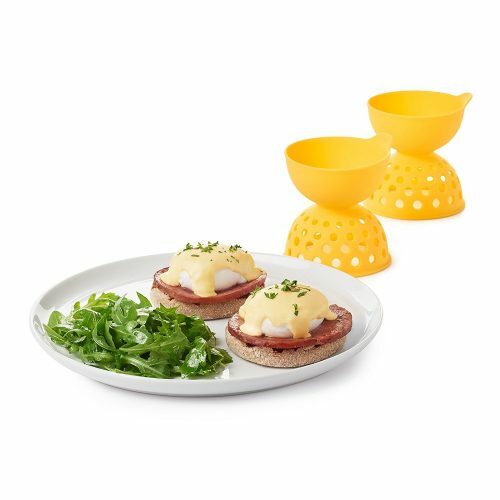 OXO has created the ultimate Silicone Egg Poacher to help you quickly and easily create perfectly poached eggs – eggs worthy of sharing in real life and on social media. OXO looked at the traditional (and painstaking) water bath poaching method for inspiration, but designed the Poacher for modern cooks with a little more on their plate. 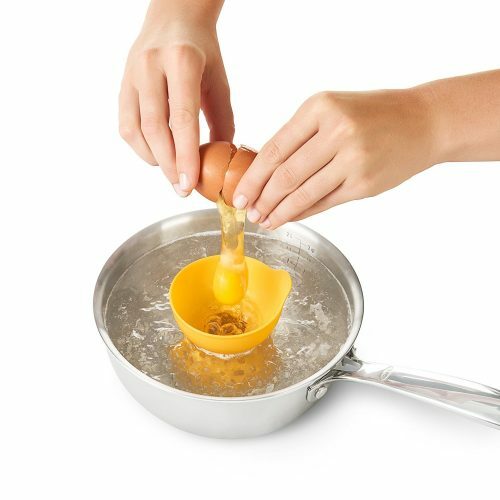 The high-heat resistant silicone body cradles the eggs while the funnel shape guides them into the water to prevent the yolk from breaking. A carefully designed hole pattern optimizes water flow around eggs for even cooking. When they’re ready, use the handy tab to safely remove the Poacher from the water. 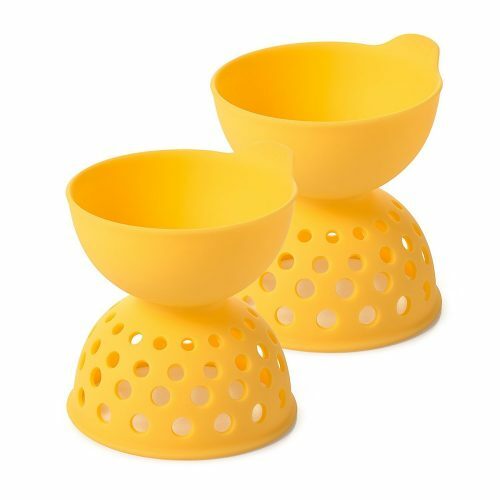 With helpful fill lines show just how much water to use and collapsible, compact storage, you’re sure to make eggs that are as pretty as a picture.